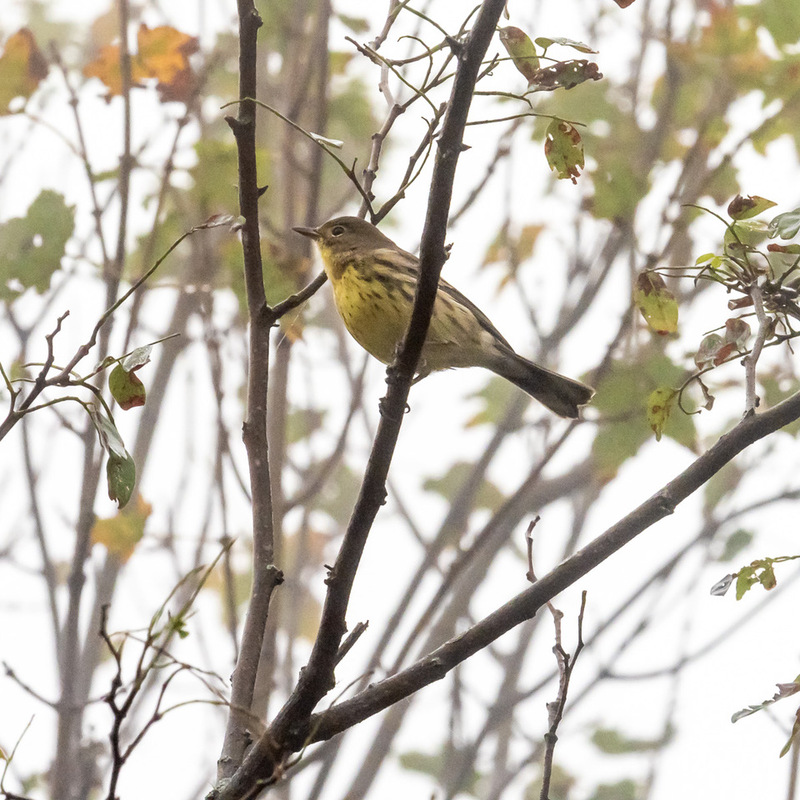 This fall birders were lucky to see a Kirtland's warbler (Setophaga kirtlandii) at Ridge Junction on the Blue Ridge Parkway where the Mt. Mitchell State Park road heads diverges. Nearly extinct in the 1970’s, when only around 500 individuals were known to exist, it had increased in numbers to an estimated 5000 by 2016. It requires large areas, greater than 160 acres (65 hectares), of dense small young jack pine for its breeding habitat in Southern Ontario or the northeastern Lower Peninsula of Michigan. This habitat was historically created by wildfire, but today is primarily created through the harvest of mature jack pine, and planting of jack pine seedlings in the warblers’ preferred breeding climate. Almost the entire population winters in The Bahamas. Migration occurs through the southern Appalachians, then to the Bahamas. The birds return in May to their breeding grounds. Given the many millions of birds migrating through our area, seeing one of these in North Carolina is like finding the proverbial haystack needle for Carolina mountain birders. This particular bird was first found late afternoon on Sep 24 and stayed around feeding in the same area until Oct 3, the date park rangers reported it last seen. It was very cooperative offering easy viewing, giving many NC birders their first look at the species. It spent its time finding food and fattening up for the rest of its journey south. For many of us who saw it, this will likely be our one lifetime observation.